I know Captain Chesley "Sully" Sullenberger received plenty of recognition following the unforgettable moment when he executed an emergency water landing of US Airways Flight 1549 in the Hudson River, yet despite the many public appearances to honor him I can't help but think of the overall story as an example of quiet heroism. In fact it sort of feels like heroism in general is too quiet these days, that saving lives is a lot less flashy than losing them in regards to media attention. Sure, as soon as anyone hears the name Sully, they likely invoke the images of the plane floating along that ice cold river that are stashed away in all of our brains somewhere, but how often would you think of him or that moment if not reminded? I can't remember the last time I took a second to reflect back upon moments of heroism in our society, but not a day goes by in which I'm not haunted by a reminder of the disturbingly dark side of our world. When I heard that Clint Eastwood would be making a film about the man and the event that seemingly defies his life, I assumed the proceedings would be inspiring but simple. A little bit of character building, some family stuff to make the circumstances more feel weightier, pre-flight discussions with co-pilot (played by Aaron Eckhart), take off and then dramatic, literally death-defying landing, he's a hero celebrating and scene. This is due to my own ignorance of the situation, unless the controversy was not all that publicized because I either had forgotten and completely missed it. The concept of someone being a hero and yet potentially also liable for the danger in the first place is fascinating and I was completely unaware of the investigation into Captain Sully. This layer of his story made this Eastwood picture all the more interesting than I was expecting. 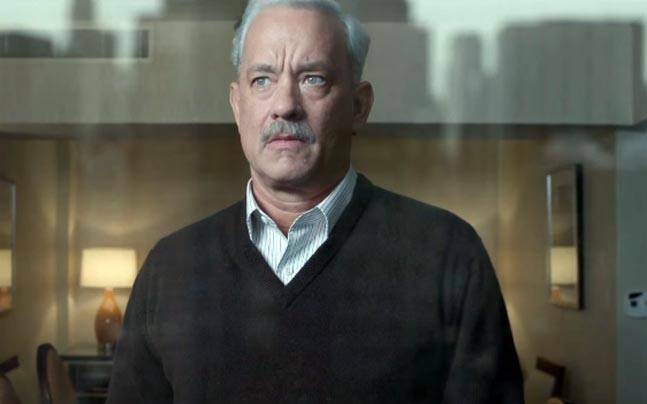 Running at a surprisingly brief 95 minutes, Sully is carried by a typically great lead performance from Tom Hanks and a confident, wisely economical approach to storytelling from Eastwood, delivering a finished product with no extra meat on its bones at all. This movie thrills us with its terrifying reenactment of the harrowing experience on that plane that day, from take off to the birds hitting both engines to the short, pressure filled amount of time in which Captain Sullenberger was forced to make a decision as to whether he could make it to a nearby airport or attempt the landing he would ultimately pull off by bringing the plane down safely on the Hudson. It's those seconds when air traffic control was providing him options and the fate of all of those lives on board were in Sully's hands that complicate the circumstances and elevate the cinematic experience. Sure, all lives were saved that day, but should they ever have been put in that much danger in the first place? Could he have landed safely and calmly at a nearby airport? The film essentially answers these questions and it isn't much of a spoiler to assume it works out in the Captain's favor, but the implications and self-doubt felt by the hero of the picture still add plenty of fascinating tension. Well, you just convinced me to go watch this! Hope you enjoy it Cody!